Ms Tehmina Durrani is another prominent writer attending the festival and she is taking it as a great opportunity to express her views. "Twenty-three years after the publication of ‘My Feudal Lord', I look forward to speaking at a public forum in my own country for the first time," she says. Beyond veil is a journey into the various phases and aspects of the life of Tehmina Durrani, the writer of the most controversial book “My Feudal Lord”. The crowd at the Lahore Literary festival was so excited to meet the writer twelve years after her last published book that there were long cues outside the doors of the Alhamra Hall. 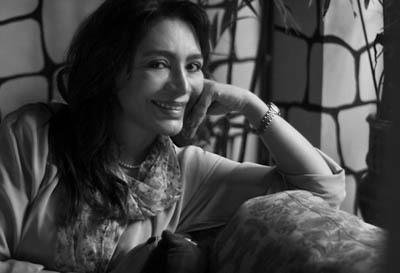 Conversing with Shahid Zahid, Tehmina expressed that "I couldn't have written My Feudal Lord but it was because of the injustice, my reality was different to what I was supposed to be." She explained that it was painful to bear the consequences of the book when even my own parents disowned me for thirty years. Talking about the changing times said that "I find new generation very open to my book today which is a sign of acceptability". She discussed the idea behind her new book “Happy Thing in Sorrow Times” be launched next month with her own illustrations. The book focuses on the effects of the recent times on the mind of a young child. She also revealed another form of expression will be made public soon through an exhibition of her paintings titled "Love Affair". While discussing her book Blasphemy she said: "To me blasphemy is to distort the words of Holy Quran and the words of he Prophet (P.B.U.H)". She added blasphemy is a true story based on the life of a woman who is suffering at the hands of the society and she lacks to ability to fight for her right. Though this one was in contradiction to “My Feudal lord” she said to become something everyone has to go through a process. Discussing another book on the life of Edhi “A Mirror to the Blind” she praised the struggle of Mr. Edhi and his wife who started off with selling pencils on roads but ended up owning a service across the country. Tehmina emphasized that I haven't seen many men who are proud of their wives like Mr. Edhi. "I find the new generation very open to 'My Feudal Lord'. I can see change in the form of acceptance comapred to the past when even my parents disowned me for 30 years. 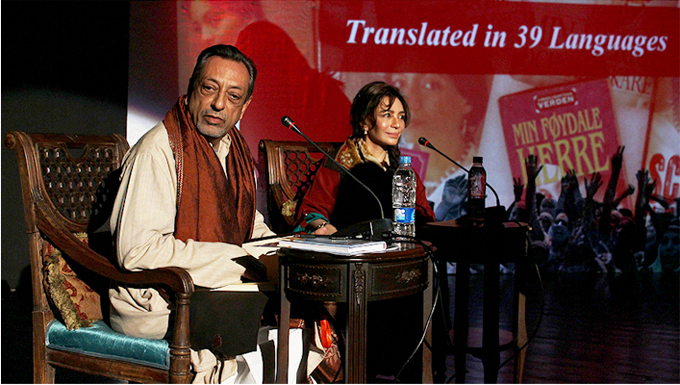 In another packed-beyond-capacity session, Tehmina Durrani, among other issues, talked about the personal cost of writing her magnum opus ‘My Feudal Lord'. She said that writing about Edhi was the most important book she'd ever written. Talking about her new book, she said how it reflected that world peace was impossible if we did not bring children of war back into the mainstream. Beyond veil is a journey into the various phases and aspects of the life of Tehmina Durrani, the writer of My Feudal Lord. The crowd at the festival was eager to meet the writer, more than a decade after she published her last book.